My name is Kimber Leigh Wheaton. I’m a wife and mother, as well as a book blogger and writer. Writing is my passion, and I feel blessed to have the time now to write to my heart’s content (for a few hours each day). I love animals and have a tendency to rescue all sorts of critters (mostly cats… I have seven right now). I’m addicted to video games, love reading, and spending time with my family. Can you talk about your new release, Shadow Fire? Shadow Fire is a lighthearted, fun adventure with a touch of whimsy and a sweet romance. It definitely takes its cue from the RPG video games that inspired it. It’s the first novel in a series of standalone fantasy romances. Written for readers who like their characters silly at times and their ‘ever-afters’ happy. How long did it take to finish? What was the process like? I wrote the first draft in about 4 weeks. It was quite rough and went through numerous revisions. The first four chapters were completely rewritten. The time between writing the first word and the release date was just under two years. What are some editing tips? If you don’t want to read your entire manuscript aloud, at least read all of the dialogue aloud. Sometimes what looks good in print to our mind won’t sound natural if spoken. Dialogue is so important to character development, and it’s easier to hear the character’s voice if spoken aloud. I catch so many typos and punctuation errors by transferring the manuscript to my Kindle. While reading in one of the larger fonts, it’s tough to miss the errors I glossed over while reading on my laptop. I used to print the manuscripts, but I hate wasting paper… and I was still missing some of the errors. I read in your bio, you love animals. Does this love ever make it into your writings? Yes! 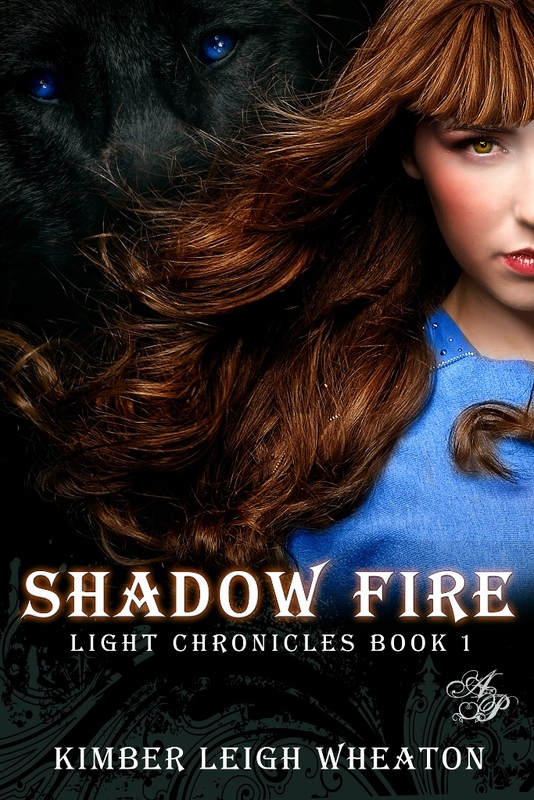 Shadow Fire is filled with all sorts of creatures, including a wolf who accompanies Ashlyn on her quest. 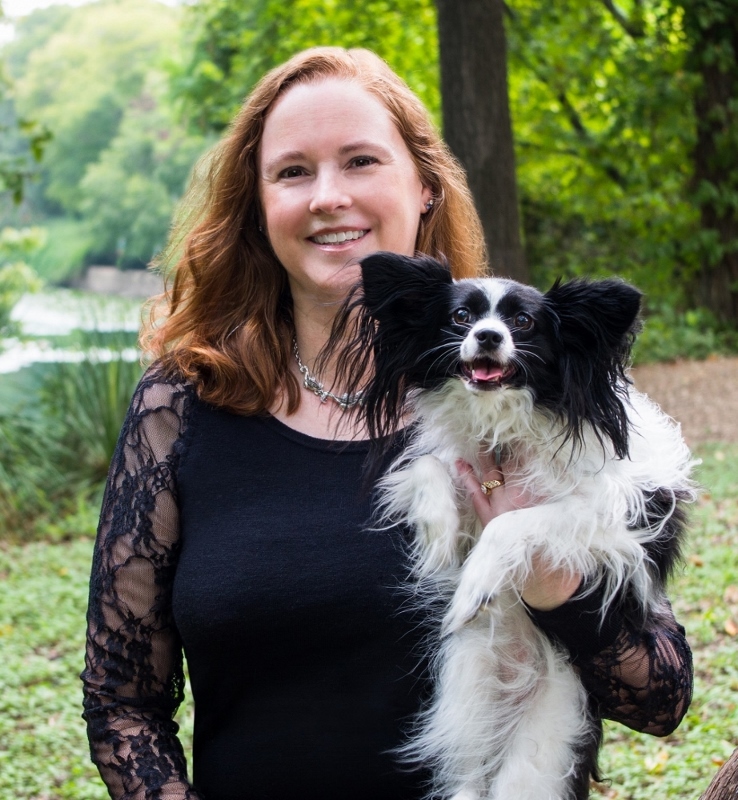 My paranormal romance, Tortured Souls, coming July 14 also features a couple animals (though they play a much smaller role than Ashlyn’s wolf, Shadow). I especially like shapeshifters and just finished the first draft on an urban fantasy with all sorts of animal shifters. Just one?! I guess I have to pick the giraffe. They are very sweet and friendly (especially when you have a handful of Romaine lettuce). This is a really tough question… I have so many favorites. What is Romance Writers of America? And why are you a member? Romance Writers of America is an organization for… you guessed it… romance writers. It’s an opportunity to connect with other authors all over the United States. They hold a yearly convention, and many local chapters host their own events as well. There are online writing and marketing classes available to members. Writing can be rather solitary and lonely at times. It’s great to have an organization where I can connect with others going through the same trials and tribulations I am. Don’t give up. If you love writing, then do it. Don’t let that bad review or a rejection letter discourage you. There will be pitfalls… life is full of them. If you’re looking for something easy, writing isn’t it. Keep moving forward. Keep writing. Keep trying. There are some days where I find myself repeating Dory’s mantra in Finding Nemo, “Just keep swimming”. Lungs burning, I force myself to continue walking. I didn’t collapse three weeks ago when this whole fiasco started, and I won’t give in now. My family needs me to be strong. The trees become sparser as I approach the edge of the forest. My shoulders slump when I pass the tree house we used to play in so many years ago. Any other day when I’m this close to home after a long day of hunting, I’d smile, breathe a sigh of relief, and perhaps look forward to dinner. Today there will be no raucous family meal, no solace in entering the peaceful village, and nothing to smile about. I’ve dealt with the whispers and pointing for three weeks with my head held high, my anxiety hidden behind a mask of indifference. I don’t want them to see me like this, trembling in fear, broken. They’ve taken everything I am, every hope, every dream I’ve had for the future and smashed them to pieces with little hope of salvation. The townsfolk of Verdane decided my fate and they chose death. The elders told me being Chosen is an honor. Either they are ignorant or apathetic. Every five years for the last twenty, a teenage girl has been chosen by the town, via secret ballot, to undertake this dangerous quest, never to return. Perhaps if the elders had to forfeit their lives instead they wouldn’t be so quick to label it an honor, they’d call it what it is… a sacrifice. What do you hope to achieve next in your writing career? Enough money to buy a Corvette with no guilt. No, while that would be nice, all I really want is to find a regular audience who enjoys reading my books. I have two more books coming out this year. Stolen Moon, a standalone sequel to Shadow Fire is expected to release in August 2014. Tortured Souls, a YA paranormal romance will be available on July 14, 2014. I have a third, Bitter Envy, a YA urban fantasy that may release late 2014.